Another blast from the past – now that we have started a new year, it’s time to find our year cards for 2012. What’s yours??? I’ve got The Lovers this year (which incidentally, coincidentally, is my Life or Soul card). Hmmm…..
I’ve got the Death card this year. Will be interesting to see what transformations I undergo for the year! Any thoughts on the year card being the same as the life card? 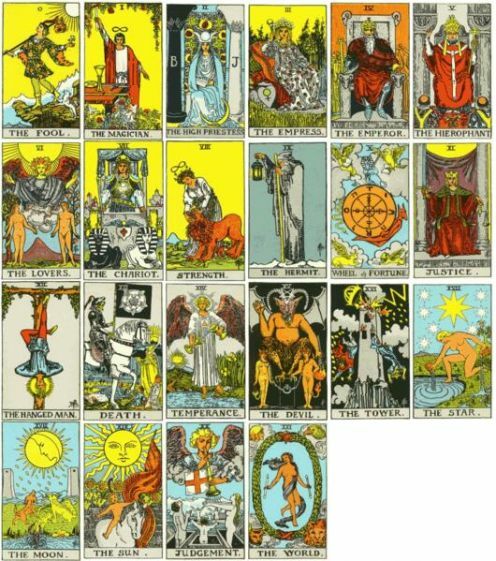 I am so out of practice with the tarot. It’s a wonder I even recognize the cards. Wow. I have Judgement. I am also (under Chinese astrology) a Dog in a Dragon year. Looks like 2012 holds many lessons and opportunities for me, and not easy ones, either!